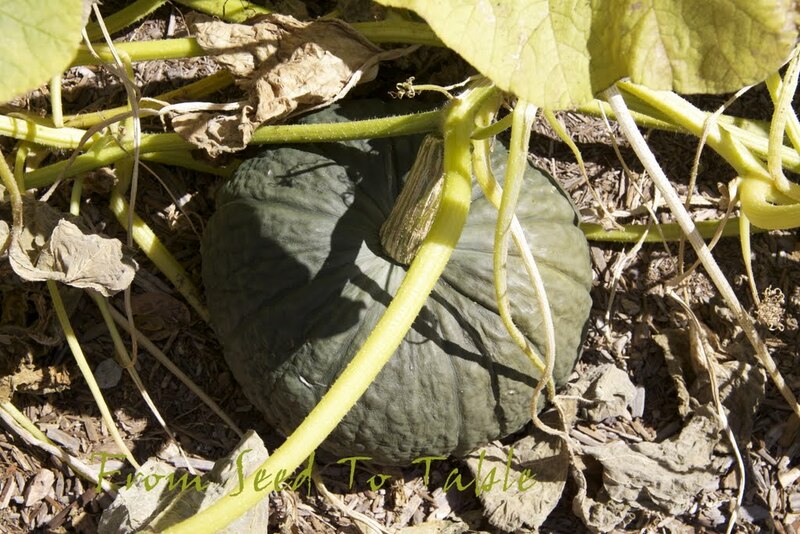 It was time to harvest the winter squash this weekend so that pushed the weekly total up in a big way. There they are, four beautiful Marina di Chioggias that range in weight from 7 lb., 2 oz. to 8 lb., 15 oz. for a total of just over 31 pounds. That will be enough to keep me happy for the next 6 months or so. 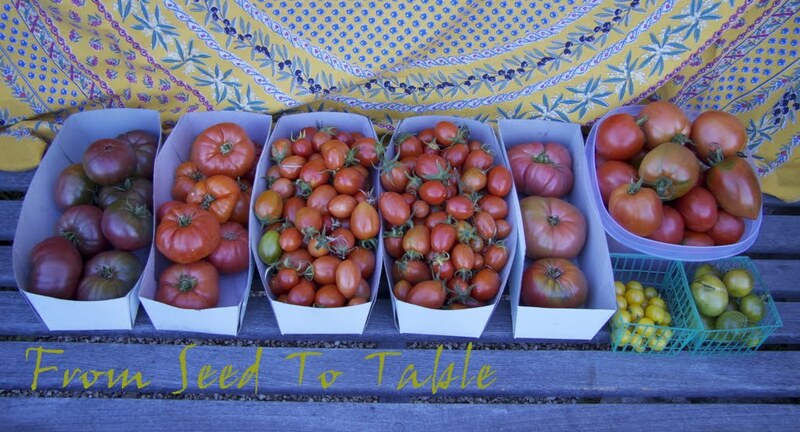 The tomatoes are rolling in, here's the weekend harvest (oops, forgot to put the Trifeles in the lineup). 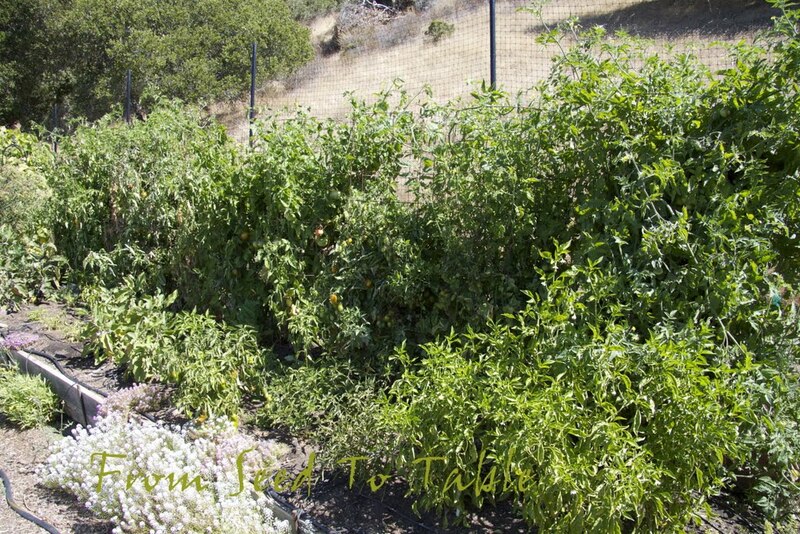 I still have to harvest the tomatoes under ripe because of the continuing sampling by rodents. 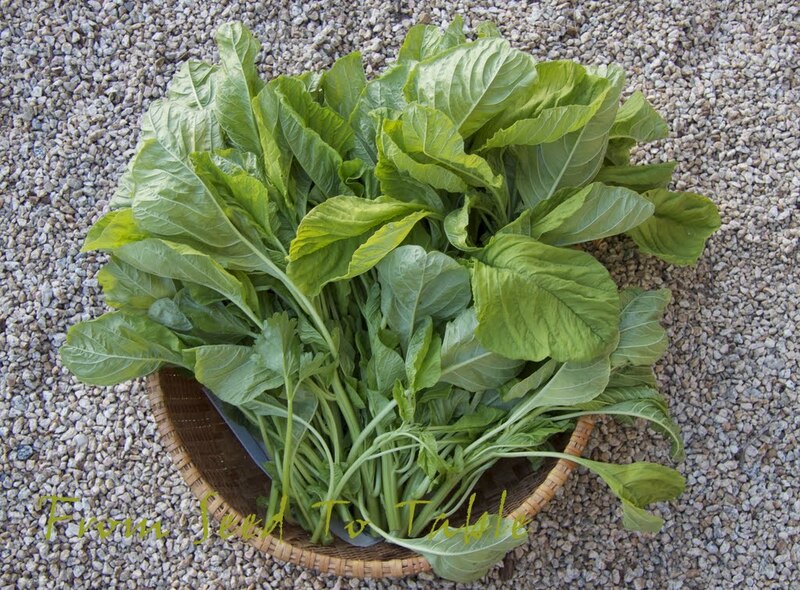 A new item in the harvest basket is Tender Green amaranth greens. These got included in a dish of sauteed ground pork that was seasoned with garlic, ginger, and oyster sauce. Mmmmm, yummy. I'm continuing to thin the celery patch and the young plants are getting bigger and bigger. I've used the celery sliced up and incorporated into salads. One salad was a mix of apples, manchego cheese, walnuts, and celery with a simple olive oil and moscato vinegar dressing. And I made a couple more salads of tomato and celery with mozzarella, dressed with red wine and/or balsamic vinegar and olive oil (and fresh basil of course!). 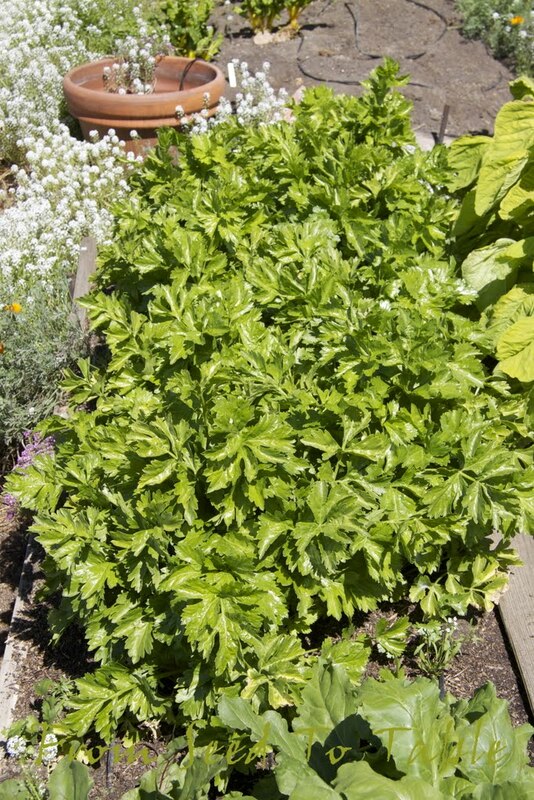 The celery leaves are tender and not too strong so most of them have also been included in the salads. The toughest leaves are chicken treats. 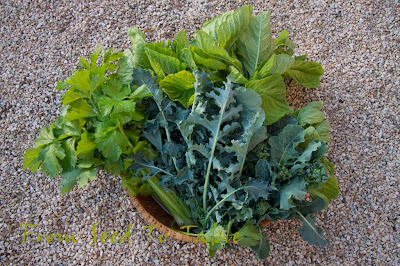 The broccoli harvests are also continuing, I've been blanching and freezing the broccoli for winter soups. 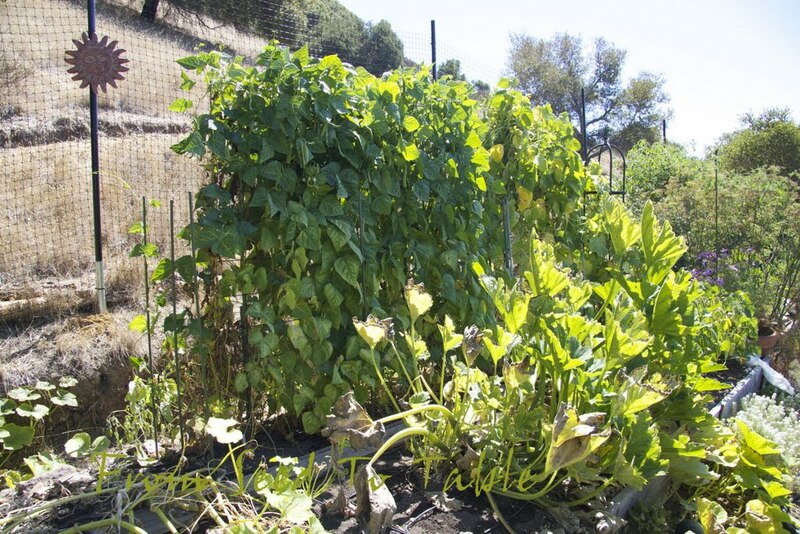 The same for the green beans that I harvested the previous week. 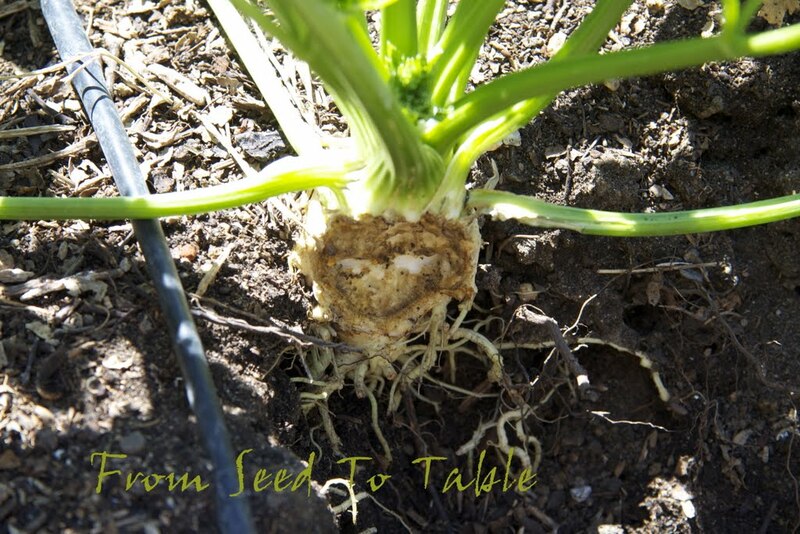 I picked the final harvest of zucchini this weekend and pulled the plants to make way for some fall brassica and lettuce seedling that are ready to plant out. 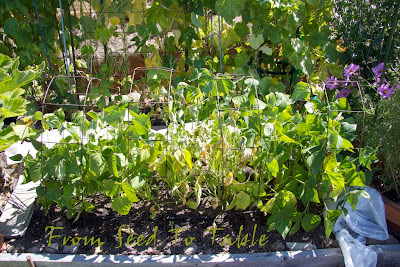 The slenderette bean plants are also in the compost bin now, they weren't at all happy and I didn't need to coax another harvest out of them since I have the Neckarkönigin beans that should start producing in a couple of weeks. 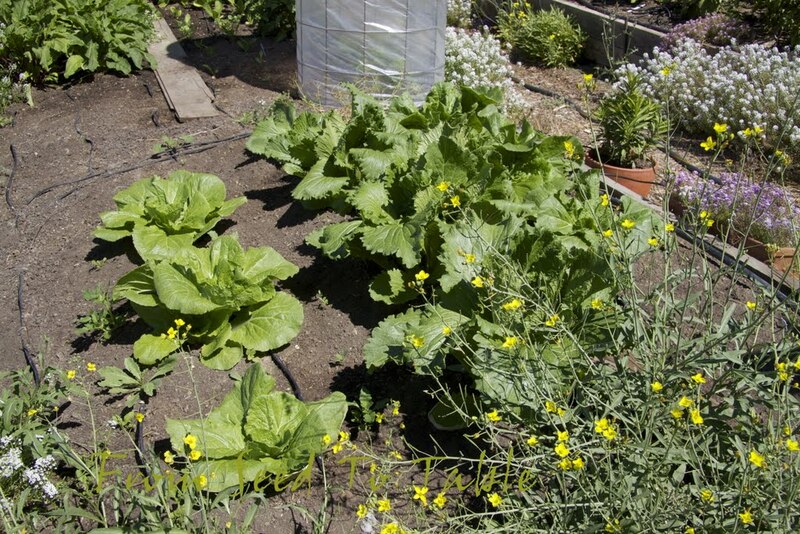 Oh, I almost forgot, I thinned out a young Green Rocket napa cabbage that hadn't even started forming a head and cut it up and wilted it with a bit of garlic. The entire young plant was edible even though the young leaves look rather spiny and coarse. Tender Green Amaranth - 1 lb., 13.7 oz. Di Sarno calabrese broccoli - 14.9 oz. 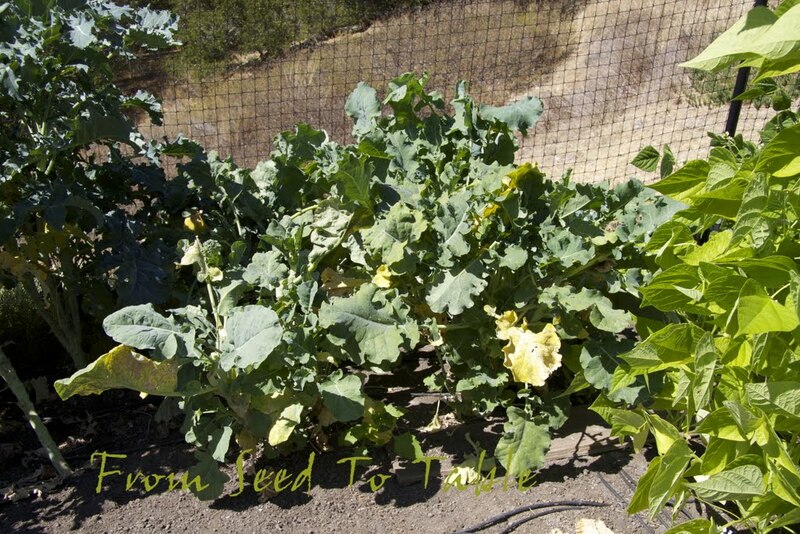 Piracicaba broccoli - 1 lb., 1.9 oz. 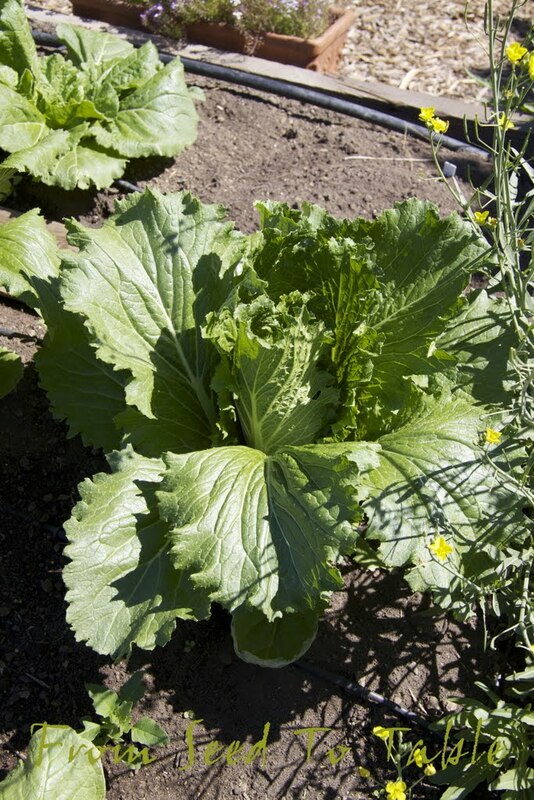 Green Rocket napa cabbage - 3.8 oz. Dorato di Asti celery - 1 lb., 5.8 oz. Amish Paste tomatoes - 8 lb., 12.6 oz. Aunt Ruby's German cherry tomatoes - 1 lb., 3.5 oz. Black Krim tomatoes - 7 lb., 11 oz. Chianti Rose tomatoes - 2 lb., 14.4 oz. Fiaschetto tomatoes - 10 lb., 3.6 oz. Galinas cherry tomatoes - 1 lb., 3.7 oz. 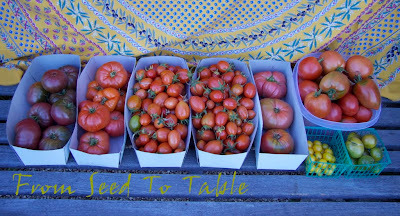 Gigantesque tomatoes - 2 lb., 12.7 oz. Japanese Trifele tomatoes - 2 lb., 10.3 oz. 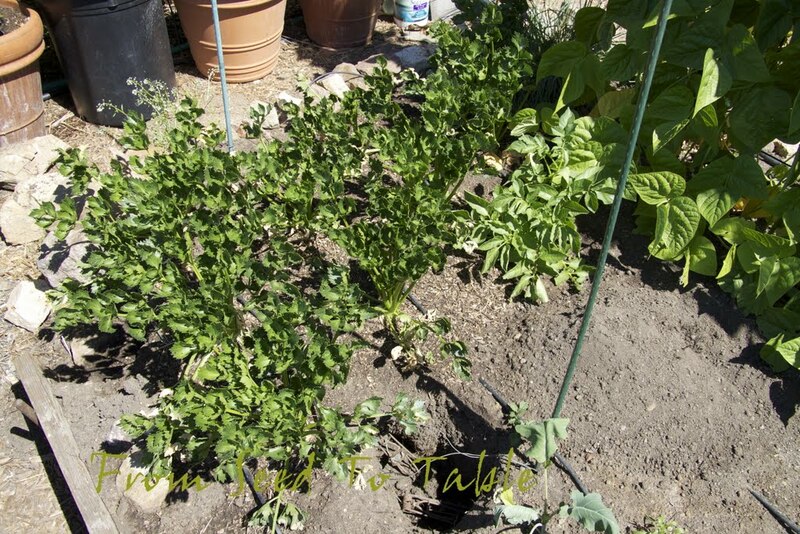 Katja tomatoes - 1 lb., 1.2 oz. Marina di Chioggia winter squash - 31 lb., 9.9 oz. Zucchini - 2 lb., 10.4 oz. The total harvests for the week were - 78 lb., 10.1 oz. 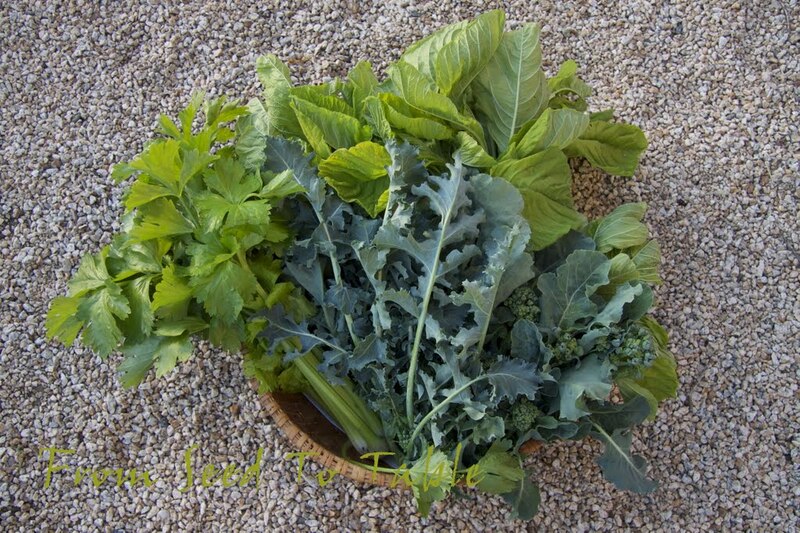 The total harvests for the year have been - 419 lb., 8.65 oz. Warm days and clear mild nights, sleeping with the windows open and a fan on (all the A/C that we need). It looks like it might stick around for a few days (whoopee!). A few weeks of this (hopefully) and then it's fall with shorter days and cooler nights. But we can get some really beautiful warm days in the fall (and winter too) and the garden continues to produce, gradually slowing down, until we get the first hard frost sometime around the end of November or the beginning of December. 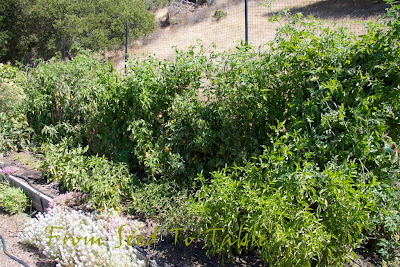 If the rats give me a break I might be harvesting tomatoes into early November. 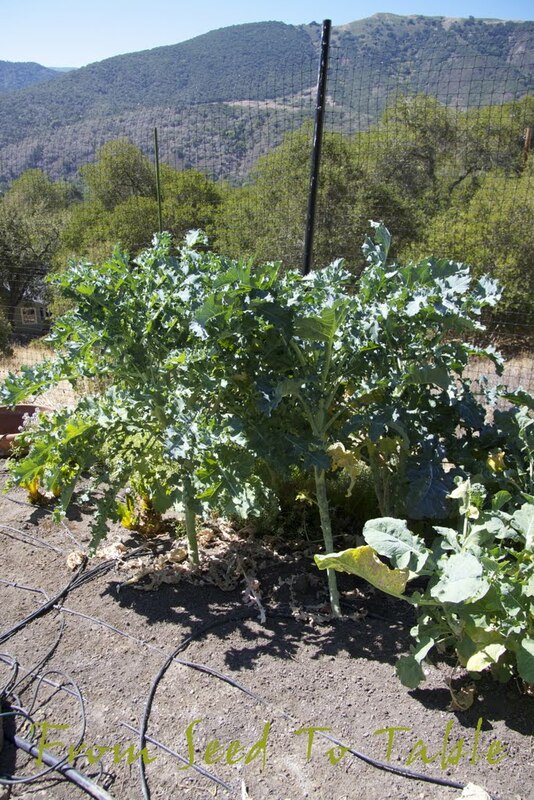 After that the garden produces a trickle of slow growing greens - lettuce, kale, chard, broccoli, cabbage, etc. I try to photograph my vegetable garden about once a month and write a post to document what is happening out there. I've found it to be interesting and informative to go back through the monthly updates since I started them about three years ago. I didn't get around to publishing a September post last year since I was traveling at the time, but I did take a bunch of photographs of the garden before I departed, so at least I can go back and take a look at the garden last September (sorry, you can't, the photos aren't available for pubic viewing). Here's the September 2009 tour which isn't as detailed as the later tours. Anyway, here's the September 2011 tour. The Marina di Chioggia squash plants are slowly dieing back. 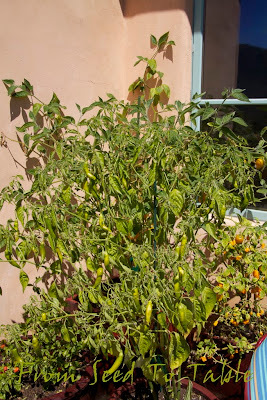 On the left are 4 potted Pimento de Padron pepper plants that were just not happy this year, all but one of them is quite stunted. 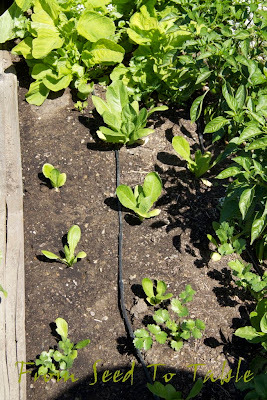 I think that there were at least 2 problems, probably three, with these plants. 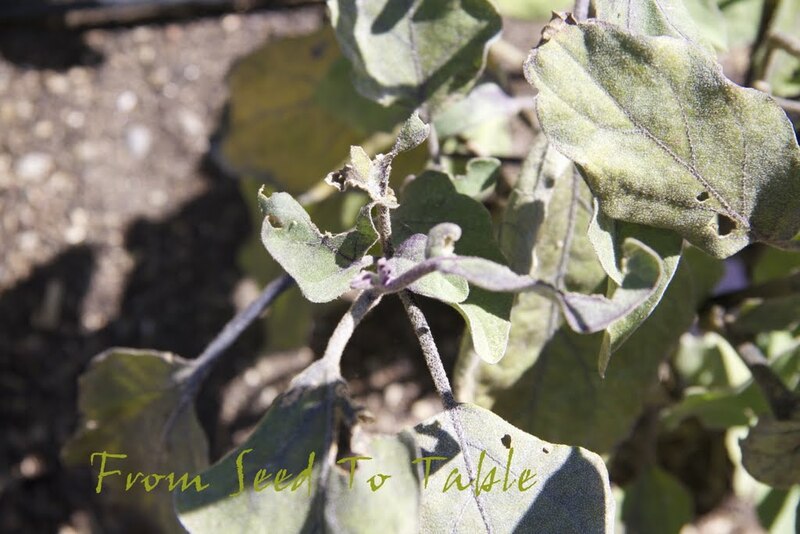 First, I think that they were infected with something fungal, possibly powdery mildew which looks different on peppers than on other plants. 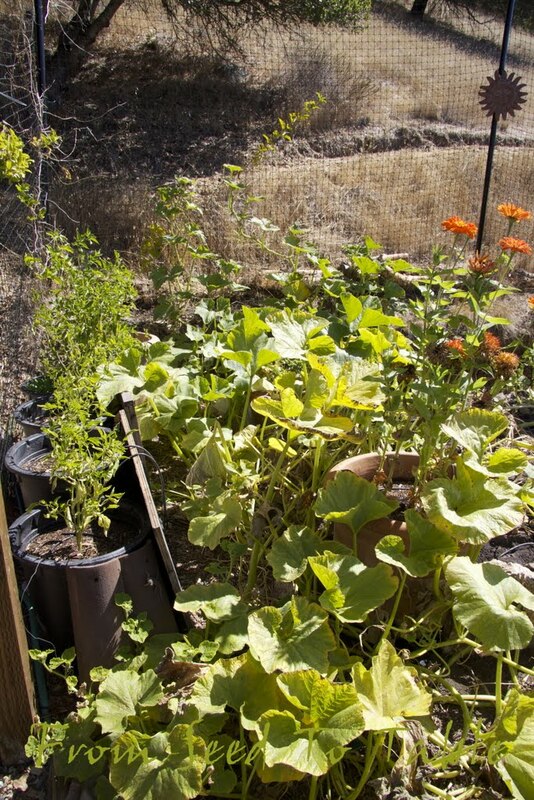 Second, the plants needed to be fed more often, and third, the black pots may have cooked the roots early on before the squash leaves grew into that area. 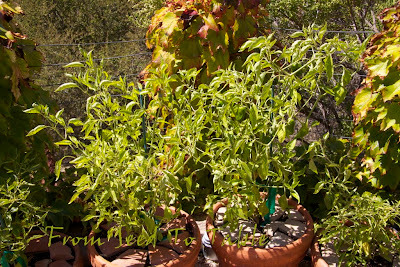 I leaned a couple of boards up against the sunny side of the pots to keep them cool. I've been feeding the plants once a week with a fish emulsion based fertilizer and I've treated them a couple of times with Actinovate (both sprayed and soil drenched) and the plants are looking better. I'm actually getting a few peppers off the best looking plant now and the others are sporting some tiny new leaves and flower buds. Next year I need to keep a closer eye on my pepper plants and break out the fungicide earlier in the season. Here's one of the Marina di Chioggia squash. 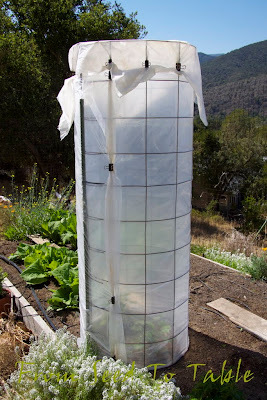 I had to protect the first squashes to set by wrapping them in light weight row cover to keep the rats from eating them. Now that they have tough skins the rats have moved on to easier targets. It shouldn't be any problem getting these to cure for the winter. 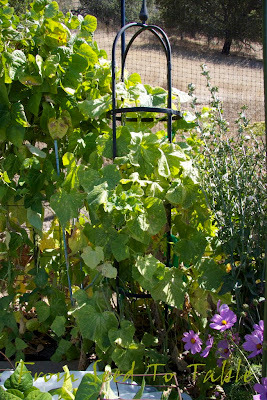 The zucchini are slowing down but still producing a few fruits every week. 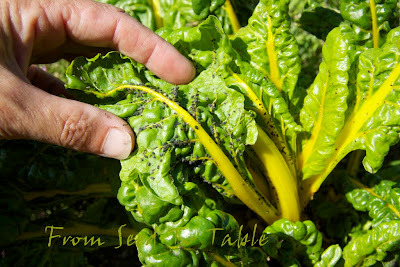 I have to treat them and the Marina di Chioggia about once a week now for powdery mildew. 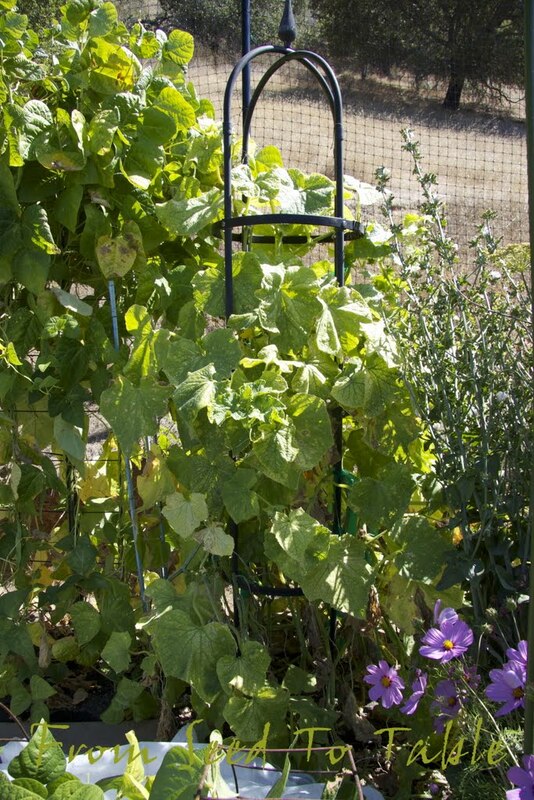 The Tarbais beans on the trellis behind the zucchini have set a lot of pods, the question is, will the rats pillage before I can harvest the dry beans? 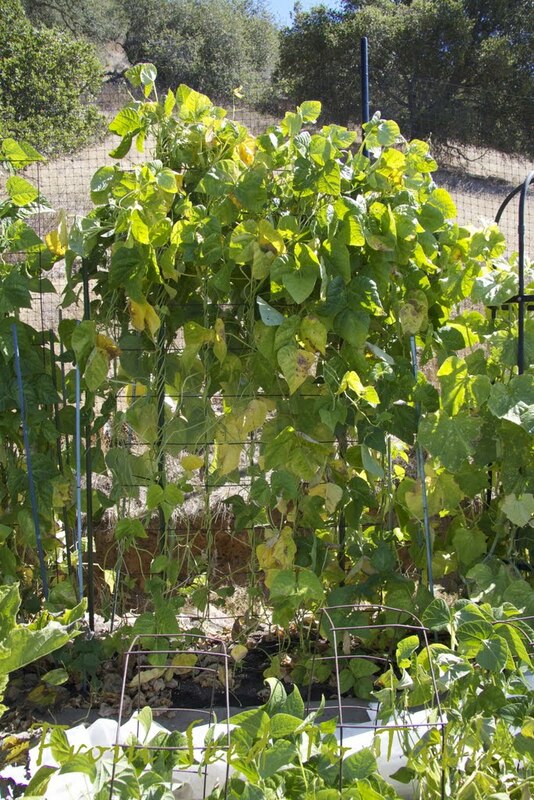 The Slenderette bush beans are on the way out. 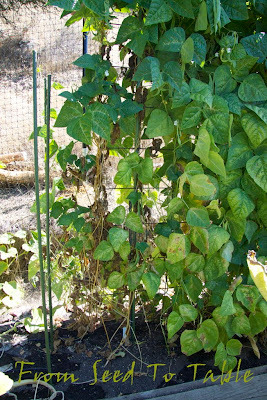 I lost a lot of these beans early on to the rats but was able to rescue the rest of the crop by covering the plants with light weight row cover. 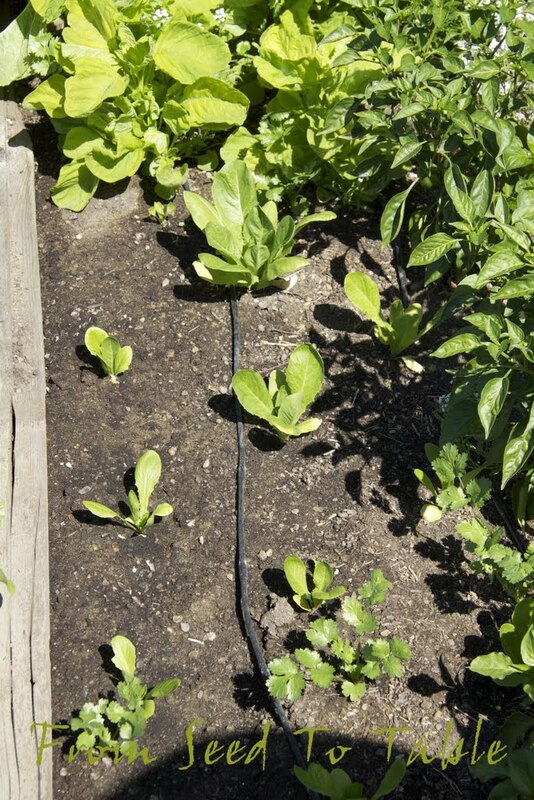 I'll be pulling these soon and putting in some lettuce seedlings. 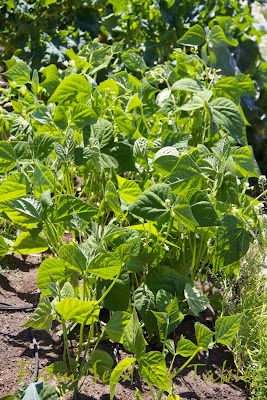 These are the Musica pole green beans. Looking tired but still producing some beans. I'll leave them in place for now. And the cucumber vines - looking sad but they may produce just a few more cucumbers. 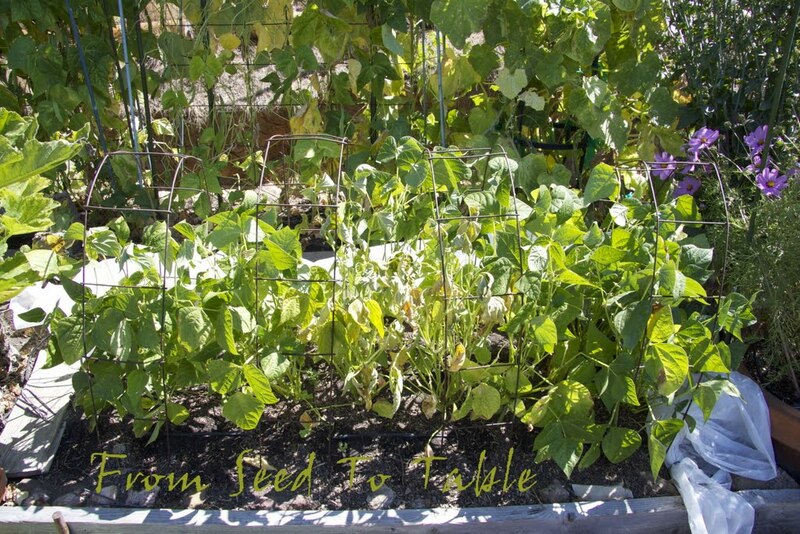 I fed them and am seeing some new blossoms and baby cucumbers forming. They've been getting a bit of a spritz for powdery mildew, whatever is left in the sprayer get applied to the new growth. some caterpillar, probably tobacco bud worm, has been chewing on the new growth and flower buds so the plants have become stunted and haven't bloomed much in a while. 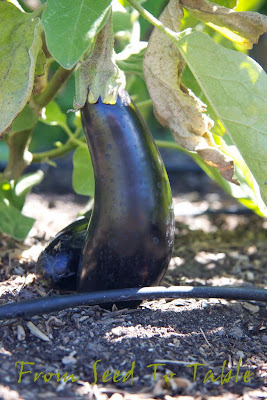 I didn't have these problems last September so I was harvesting a lot of eggplants. 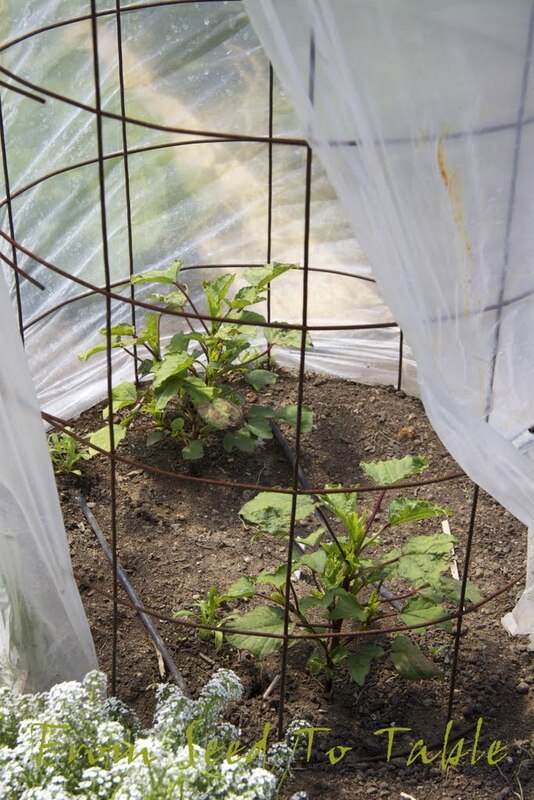 These are the Diamond eggplants, they got sprayed for spider mites earlier on which may have also taken care of the caterpillars at that time. They are just showing signs of chewing but have a few eggplants that are close to harvestable size now. There will be a gap in the harvest since a lot of the new flowers disappeared before I noticed the damage. Gotta keep a better eye on the pest problems in the eggplant next year. 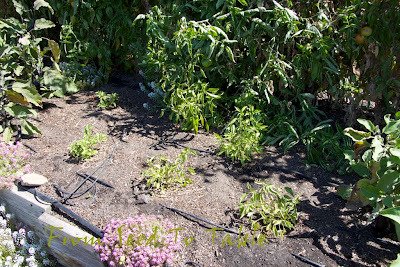 Late planted pepper plants that are not growing - bleah! I think I'll rip these out and put in some fall greens. 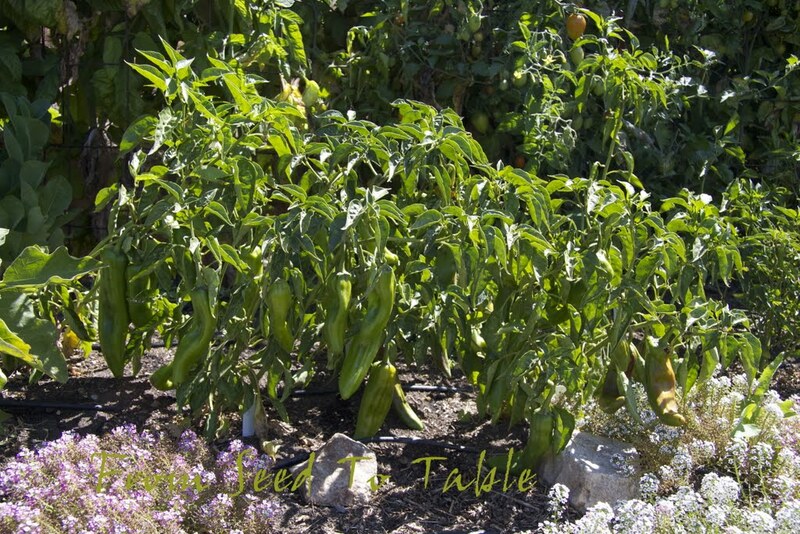 The New Mexico peppers seem more resistant to the fungal crud that is slowing down most of the other pepper plants. 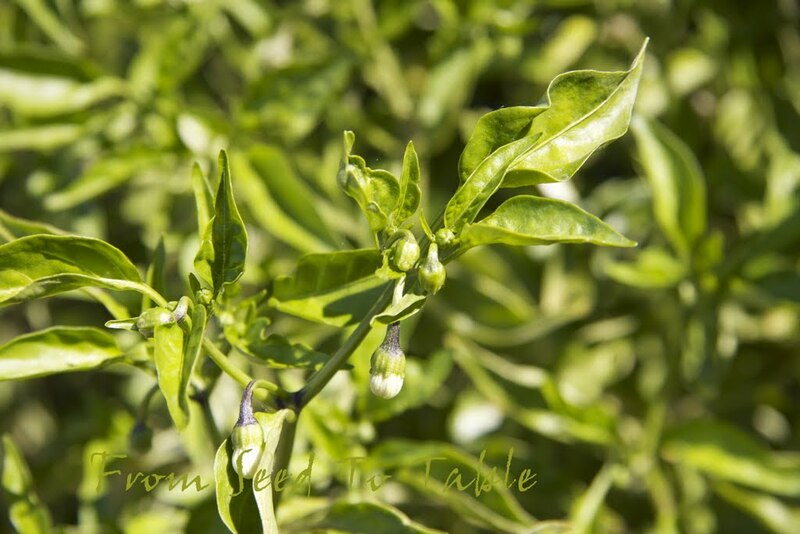 There's actually a fair number of chiles that are maturing. The Shishito and Fushimi plants were hit hard. I stripped the plants of all their crummy little pods recently and hope that the TLC that I've been giving them lately will produce something of a late crop. They do have some new growth and tiny new flower buds. 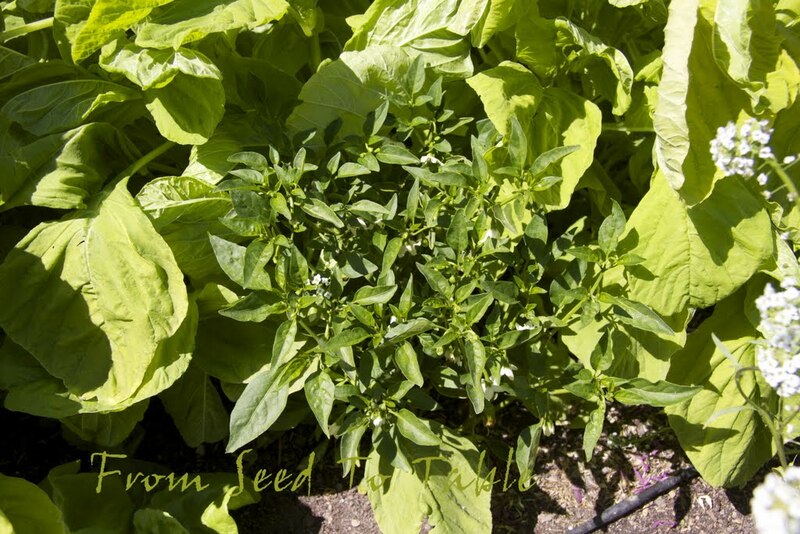 These both produce peppers that are supposed to be harvested immature so I might have a chance to get something. 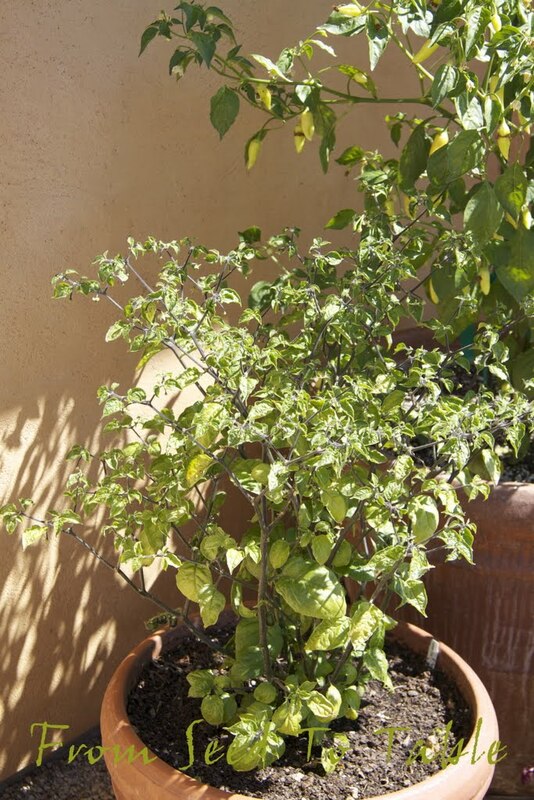 The Pimento de Padron plants are definitely responding to the TLC. 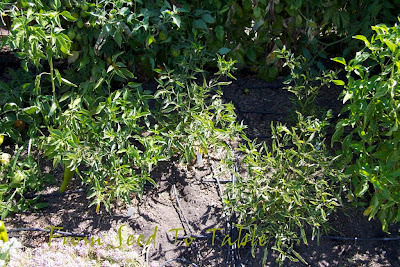 So, there it is, my sorry little Solanum Row. Ah well, better luck next year. 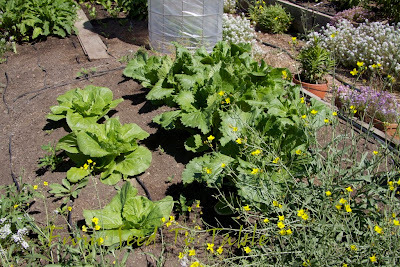 Across the way the napa cabbage patch. I started four varieties this year but only three survived to transplantable size. 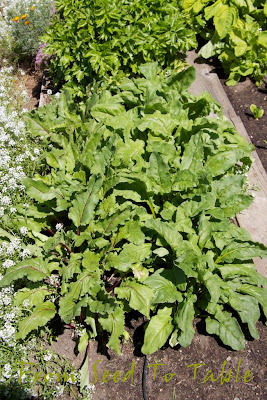 From left to right are Tender Heart, Green Rocket, and Hybrid One Kilo. The Green Rocket looks like it will live up to its name. I hope I didn't start these too soon, I don't want to find them bolting in the heat. 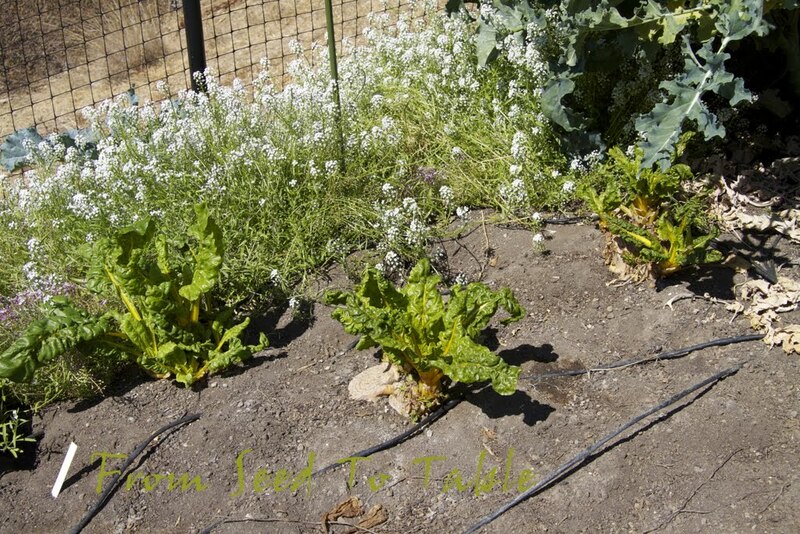 This is my first time trying fall grown napa cabbage so I'm still figuring out the correct timing for my climate. 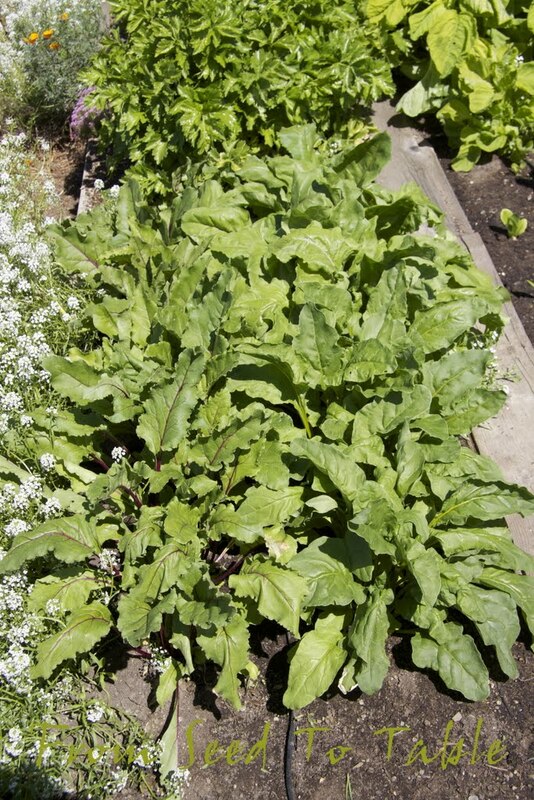 The beet patch - I'm growing 4 varieties - Flat Egyptian, Baby Ball, Chioggia, and Golden. These need to be thinned. I've started another flat of the same varieties to plant out in a week or so. 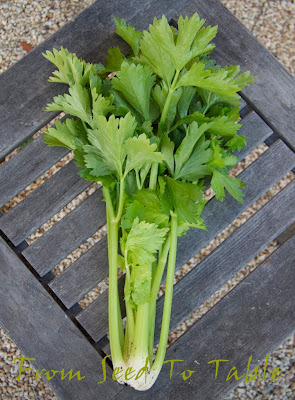 My first ever try at growing regular stem celery, I've done leaf and root celery, both of which are less fussy. The plants are growing like crazy. Again, I hope that the heat doesn't make them bolt early. These need more thinning also. 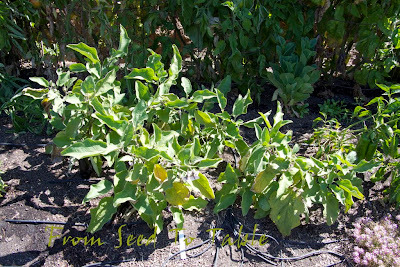 The Tender Green leaf amaranth has suddenly taken off. 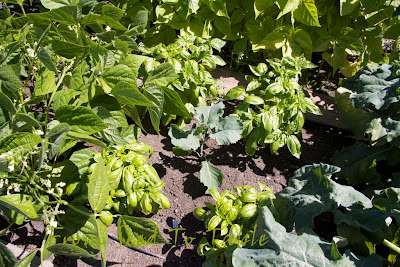 It is staying short, at least for now, as I hoped this variety would. I think we'll be sampling some of this for dinner tonight. Some Sweetie Baby romaine seedlings for fall green salads. Here's a couple of late planted pepper plants that are actually happy. A late planted Fushimi plant that is being engulfed by the amaranth but is still looking better than the ones in the Solanum bed. Hmmm, these got the fungicide treatment soon after they got planted out, I think that that will become standard treatment for future pepper planting. Here's a new experiment. This is my third attempt at getting Hibiscus to grow this year. 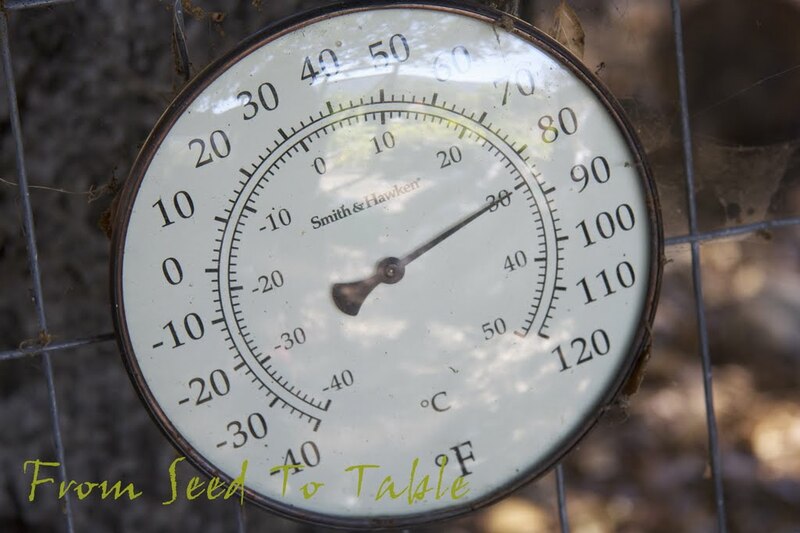 The seeds germinate quite readily, but the first two times that I've tried to get the plants to survive outside this year they have curled up their toes in response to the cold nights and expired. So for attempt number three I'm trying to grow them in their own little mini green house. I keep it closed 24/7, it stays relatively warm at night but doesn't get too hot during the day because it is topped with a double layer of light weight breathable row cover rather than the clear plastic that covers the sides. I doubt that I will get any significant number of flowers, but this experiment warrants a retry next spring. And the final bed. 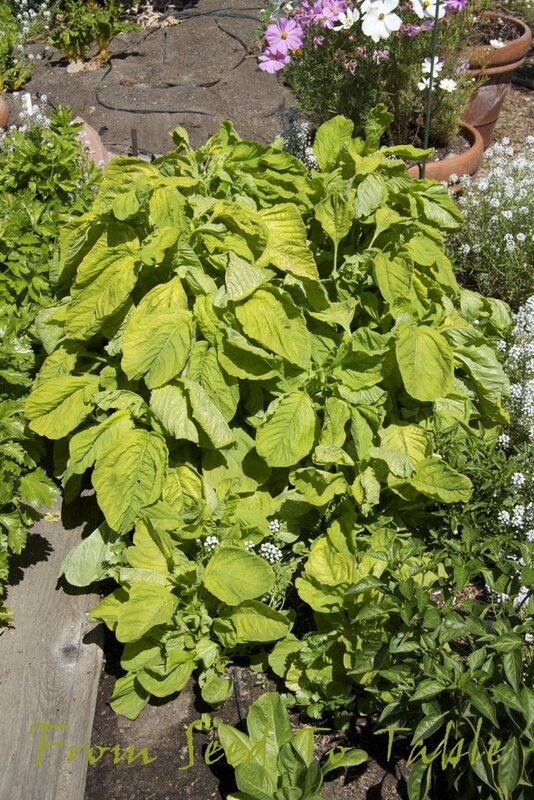 Let's start with the ugly Golden Chard. The ants have been farming aphids in the tender new leaves. I've cut the plants down to the nubs and thoroughly sprayed with insecticidal soap which killed off the aphids. 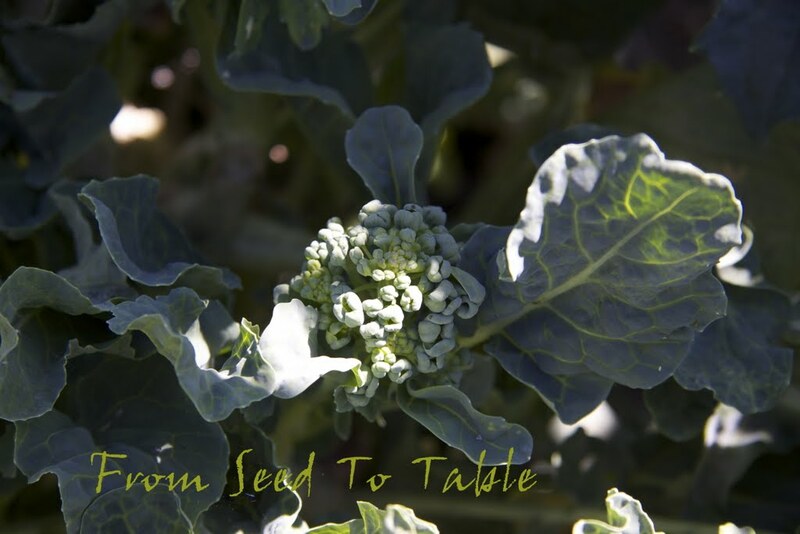 Flower buds on the Di Sarno Calabrese broccoli. 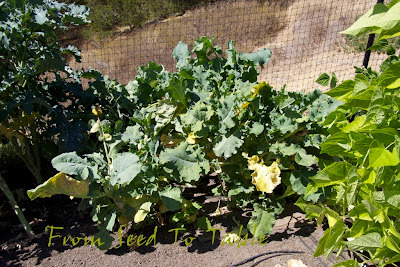 The Di Sarno broccoli was planted very early this spring and just refused to grow, it was so disappointing as I noted in my June garden update. I found out later when I dug the other end of the bed that the oak tree roots were invading and outcompeting the vegetables for water and nutrients. 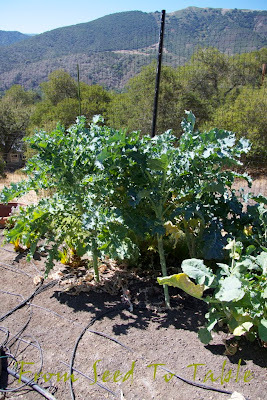 The broccoli took off after I severed and removed a great deal of the oak roots. 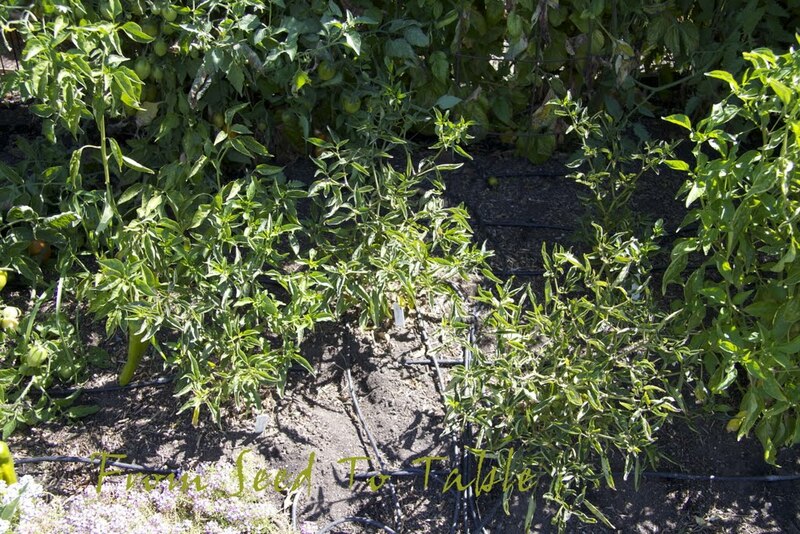 The Piracicaba was planted earlier than the Di Sarno and is still plugging away and putting out a lot of shoots. 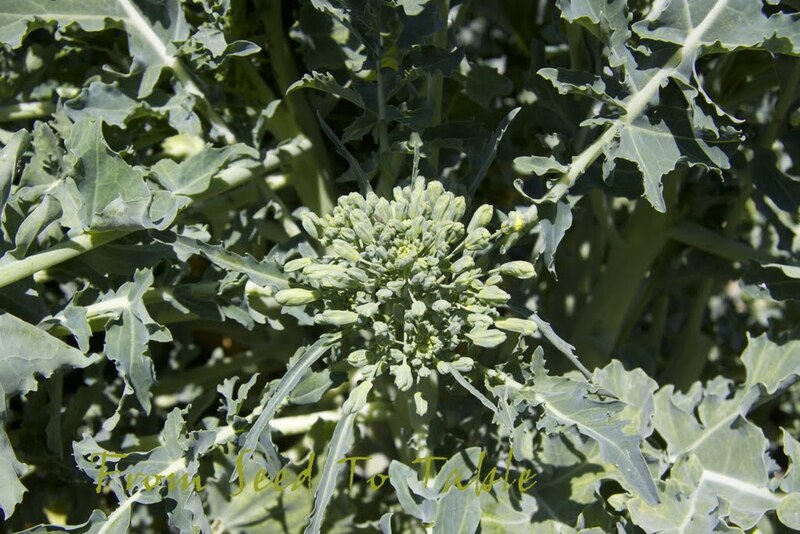 For some reason it wasn't as bothered by the oak root competition as the Di Sarno broccoli, but it has produced a lot more shoots since the competition was eliminated. I have a hard time keeping up with the Piracicaba harvest now. Late planted pole beans. 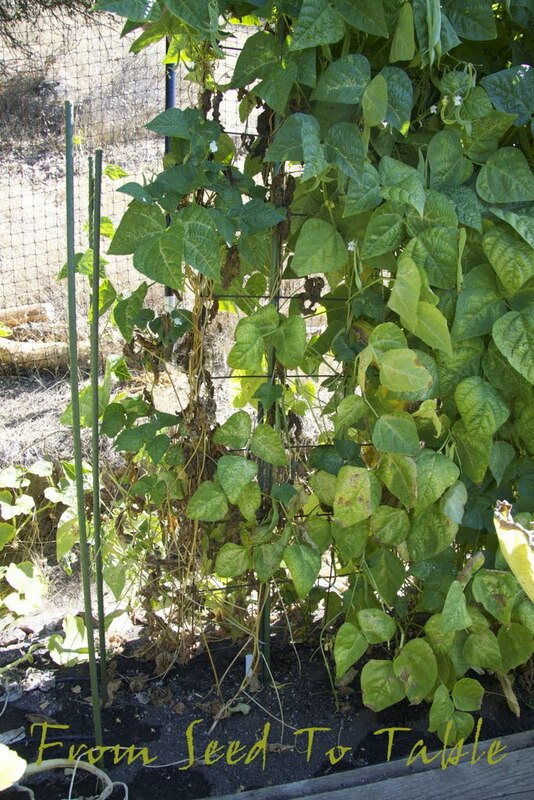 On the right are Stregonta borlotti beans, they seem to be half runners, very bushy at the base with a single runner or two climbing the trellis. 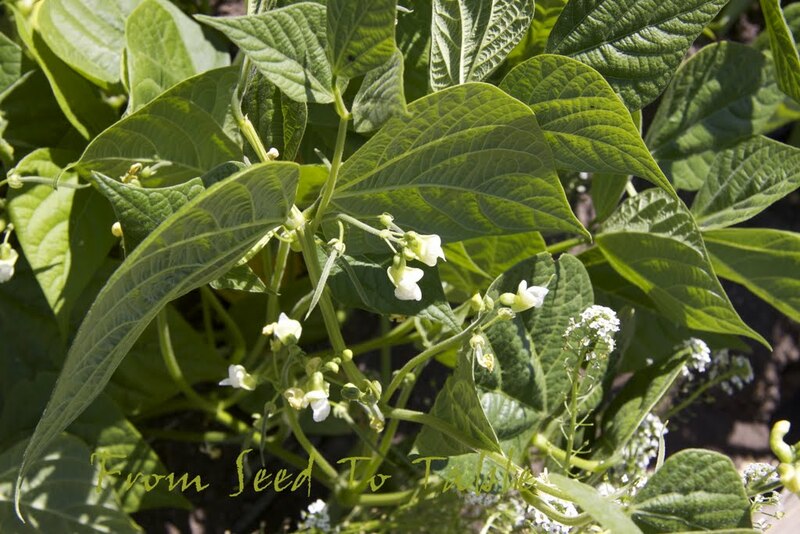 They are just starting to bloom so I doubt that I will get dried beans but I think I have a chance for shelly beans. 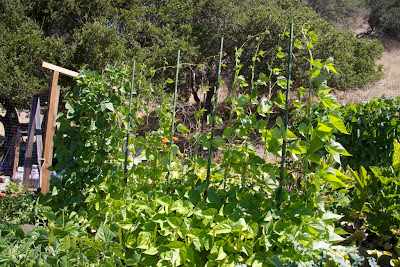 The more thickly covered trellis to the left is Neckarkönigin green beans. 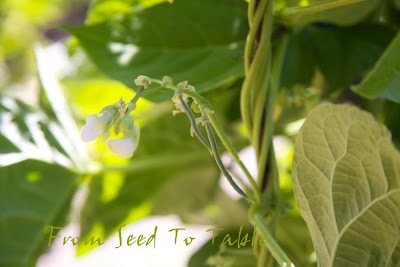 They are just starting to set baby green beans. Profuma di Genova basil from Renee's Garden Seeds, this is my favorite variety of basil, very productive and very flavorful. This patch got pretty well picked over the other day for a delicious batch of pesto. I planted a Purple Sprouting broccoli plant in the middle which hopefully won't overshadow the basil before it decides to poop out. More trouble in the garden. There is or was a gopher running around in this end of the garden. I trapped one gopher here the other day and now I'm not sure if a new gopher has moved in or if a vole has moved in. I haven't been able to catch it. Grrrr. 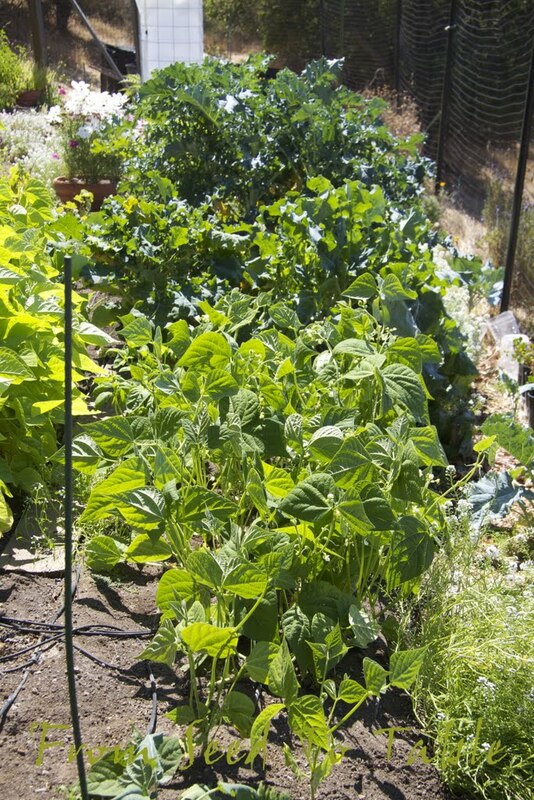 A patchy patch of Rolande filet beans. I had a difficult time getting these plants started, first the critters munched the seedlings, then I fried the remaining seedlings when I left them covered on a rare hot day that took me by surprise, then the replacement seedlings got munched. Sigh. 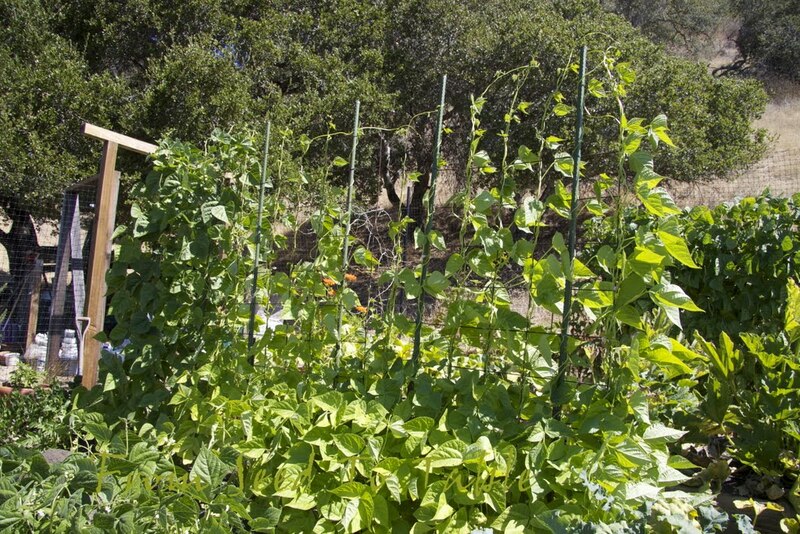 I looks like I might get a handful of beans, if the rodents don't get them first. 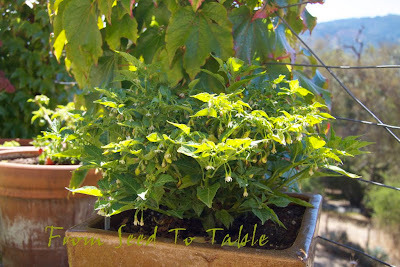 A few shots of selected pot grown peppers. This group is a 3 year old Manzano in the back, a new Aji Angelo in front, off to the right is a 2 year old Suave Orange, and you can see a couple of little red chiles on the 2 year old Puerto Rico No Burns on the left. The older plants are not terribly happy and the Aji Angelo is looks scraggly but it producing a lot of nice peppers in spite of wanting to be in a larger pot. 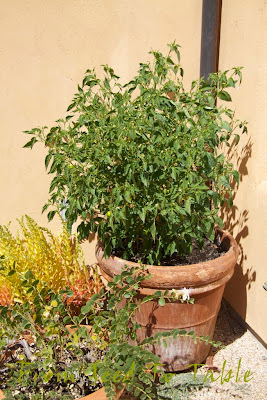 Next year I clean out all these pots and start over again, although I could probably move the Aji to a larger pot or into the ground and get another good harvest. 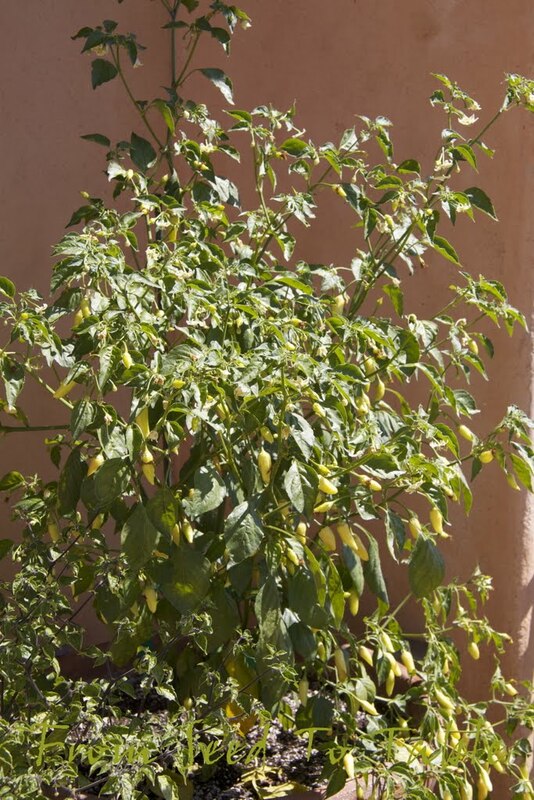 This is Aji Habanero, not a habanero (C. chinense), this is a baccatum chile, supposedly mild but I haven't tasted one yet. The peppers are supposed to be red when they are ripe. This is a mild chinense pepper called Havana, but it is also not a Habanero. Confused yet? 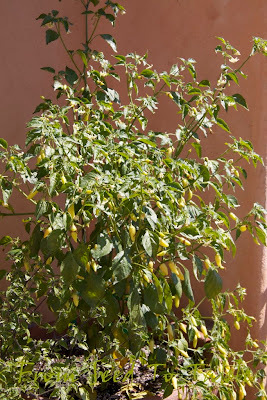 This plant seems to be affected by whatever is stunting a lot of the chile plants in my garden. It started off beautifully, with large leaves and pretty purple stems, and then the older leaves started to yellow and drop off and the new leaves came on small. Ah well. 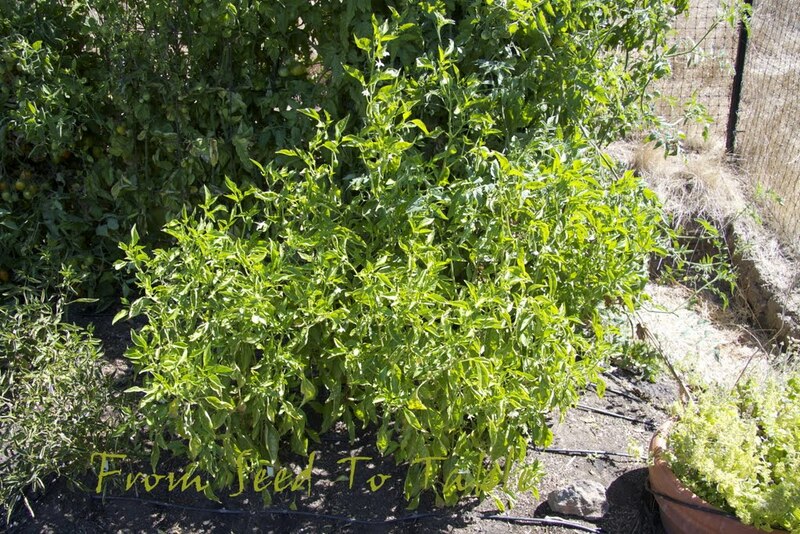 This is a baccatum chile called Rain Forest. The poor thing is wilting in the reflected heat off the walls behind it. Other than not liking an unusually hot day this plant seems to be healthy and thriving and has set a lot of good looking pods. 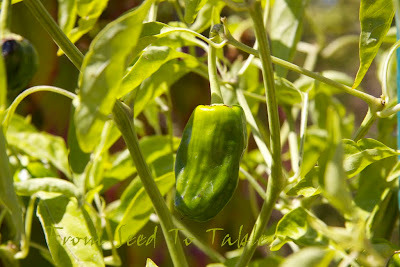 This is another mild chile, I don't do very many hot chiles these days. Chiero Recife, another mildish chinense chile. Just starting to set chiles. 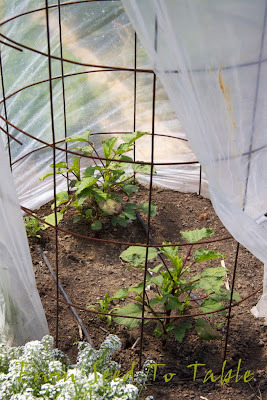 I'll have to move it to a more protected spot to get ripe chiles late this fall or early winter. 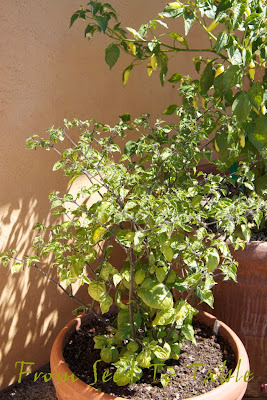 Two more of my pot grown Pimento de Padron peppers. 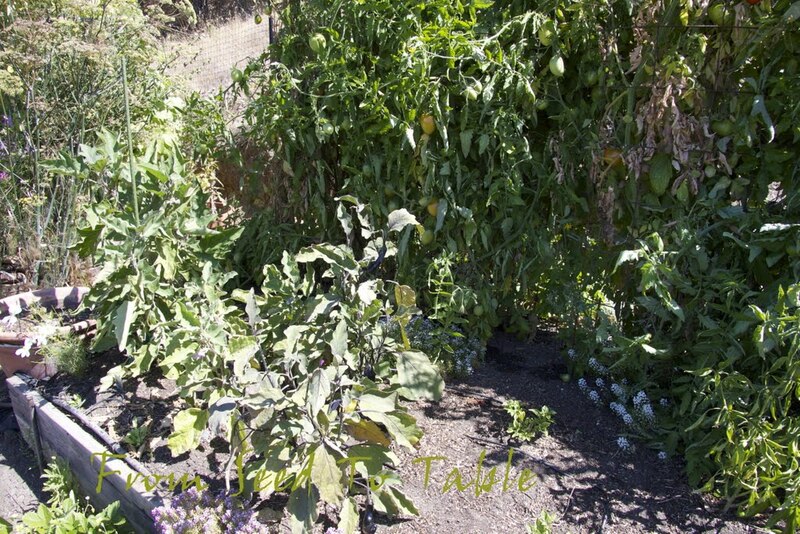 These are less affected by the fungal crud and have been putting out a respectable amount of chiles. I can't say the same for the Fushimi and Shishito peppers flanking them. 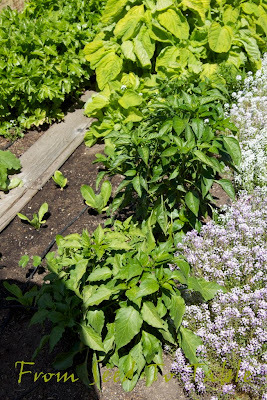 That's it for the latest garden tour. 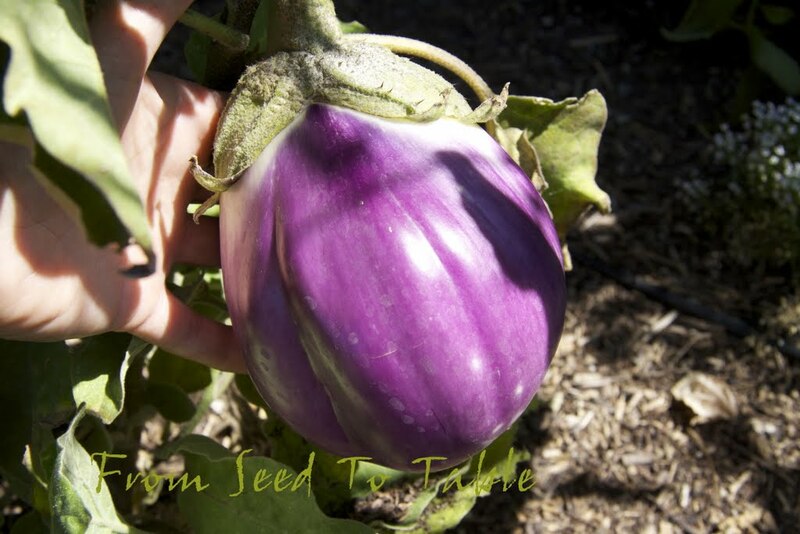 What have you got growing in your fall garden?